of bedroom designs of all shapes and sizes and in contemporary or traditional styles. This easy to use, drag-and-drop software lets you change wardrobe door styles, sliding door combinations, customise wardrobe internal combinations and room colours, and then continue to reposition elements until the customer is totally happy with the design concept. Real-time 3D Walk-through view options allow the customer to see the bedroom from all angles, to be totally assured of the aesthetic and ergonomic qualities of the design you have created. 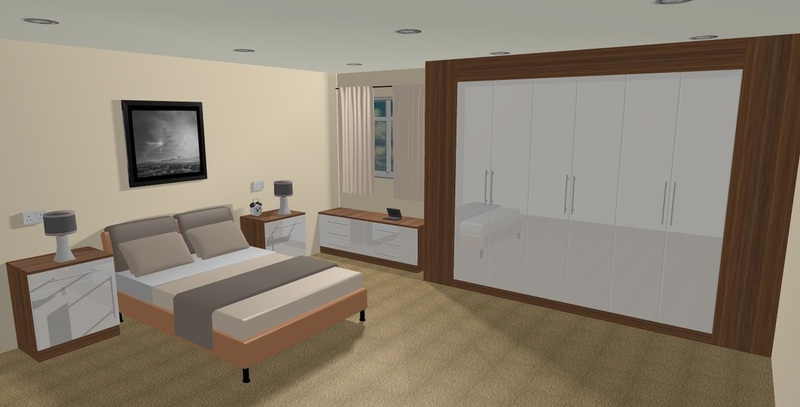 The increased design capability of NexusCAD bedroom design software could help to make that all important sale more easily and quickly, having given the customer the peace of mind and reassurance that they are getting the very best bedroom design that their money can buy.